It is the time of year when many people go searching the internet for scary music for their parties or their own amusement. 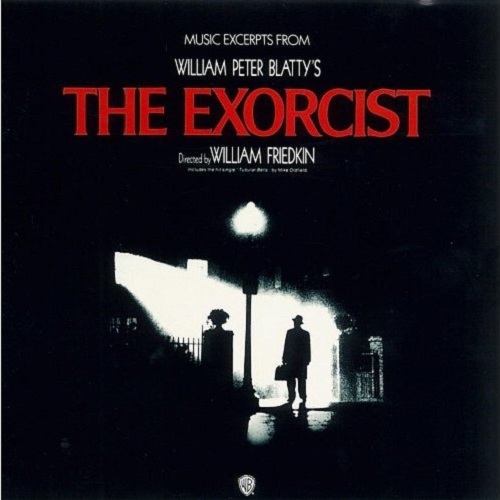 Undoubtedly there are thousands typing "the exorcist soundtrack" or "the shining soundtrack" into G00gle. It's understandable. The pieces of music used in William Friedkin's 1973 religious horror staple were well chosen. Penderecki pieces dominate this collection. It's always safe to go with Penderecki if you want to frighten your audience or generally instill a feeling of queasiness. I was listening to this album the other day to "wind down" after my brain was bombarded by a professor at school. My hair stood on end I kid you not. It was "just what the doctor ordered". Download and use generously for its therapeutic properties. Took me awhile to get back here. I just want to thank you for all the horror soundtracks they, went perfect with my haunted house this year. This is an awesome soundtrack! Can you upload to a different server? The link below has been ... ahem ... "shut down." The link above leads to a website that has been shut down. THANK YOU THANK OYOU THANK YOU THANK YOU THANK YOU THANK YOU THANXXXXXXXXXXX MILLION TIMES!!!!! !